Students and families alike poured into UCSB’s Old Little Theater for showings of this year’s original, student-created College of Creative Studies musical, “Shake On It,” from April 5-7. 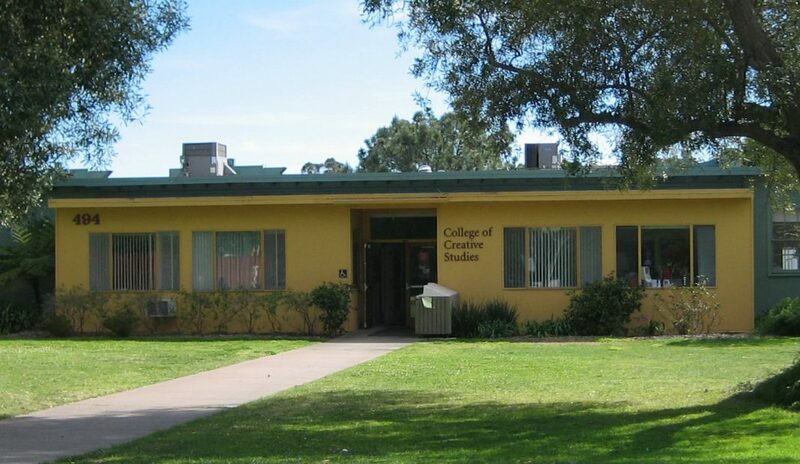 Students created the musical over a two-quarter course at UCSB called the CCS TV musical project which gives students the chance to write, compose, and produce an original musical with the guidance of CCS faculty members. After three live shows, the musical was filmed and edited for a premier at Isla Vista Theater. CCS music composition faculty member Jeremy Haladyna founded the course in 2004. It “came out of [my] desire to see students have a chance to see their ideas put onto the lyric stage, in a true test run,” Haladyna said in an interview with The Bottom Line. In this year’s musical, the plot follows Amanda Steinberg, a high school student who is known for being boring and forgettable. “We can’t all be rainbow sherbet,” even her father tells her. “Someone’s gotta be vanilla.” But Amanda isn’t satisfied with just being vanilla. When an encounter with a charismatic magician grants her the ability to steal personality traits from other people, she takes it upon herself to become who she has always wanted to be. Described as “a cross between a John Hughes Teen comedy and David Lynch’s ‘Twin Peaks’” and “a moralistic play filled with irony” by student writers, the musical explores themes such as self-love, forgiveness, belonging, and self-perception. Overall, “Shake On It” is lined with a twinge of comedy and wit. The show was at its strongest, however, during its ensemble performances. “Mono,” the closing performance of act one, featured a charming and funny chorus about being diagnosed with mono and humorous choreography to complete the performance. “Lunch Lady,” a musical number about the budding romance between the vice principal and a lunch lady known for her notoriously bad meals, was another performance that highlighted both the talent of its performers and the humor of its writers. Perhaps the most notable aspect of the musical, though, was the female lead’s performance. Amanda, played by fourth-year music department graduate student Molly Clementz, steals traits and subsequently takes on new personas, characterized in the performance by different vocal tones and physical tics. Clementz switched between these different personas seamlessly and naturally. She most notably did so in a soliloquy where she juggled five personalities while in the middle of her own character’s dialogue. “Shake On It” was not without its fault. Amanda ironically complains about being boring; yet, all of the other characters are almost completely one-dimensional, typical high school stereotypes. There’s the dumb, overconfident jock, the class clown, and the uptight but insanely smart nerd, to name a few. The most interesting and unique character is Arnold (preferred name Junichi), an anime-loving nerd who wants to be a samurai when he grows up, and even he only serves as comic relief of no real substance. The musical also fails to adequately explore its themes; Amanda’s mommy issues, for example, are mentioned twice and then never resolved or explored more deeply. In assessing the show as a project, however, “Shake On It” more than meets expectations. Despite its flaws, the show feels complete like a professionally-made production. The fact that “Shake On It” is almost entirely student-produced says a lot about the success of the CCS TV musical project. “The project is an opportunity like no other for [students], and during this long, multifaceted process, they blossom as both artists and people,” said Director Gerry Hansen in a separate interview with The Bottom Line. There’s a lot of budding talent behind each aspect of the show — the scriptwriters, songwriters, composers, live musicians, actors, and more. Supporting the first step of these artists’ journey alone makes “Shake On It” a worthy and interesting watch.